Thought of writing a college admission essay scares you? Nothing makes a high school senior more anxious than writing a college admission essay. And this is not surprising. Your admission essay will decide if you go to the college of your dreams or get stuck in your home town for at least one more year. Well, no one wants to end up in the reject pile. But even if you ace all the necessary tests, you can still fail to get admitted. If the admissions officers are not impressed by your essay, all your hard work may be in vain. So what if you are not a good writer? If you feel like you lack writing skills, reach out to our admission essay writing service. Our experienced writers will craft a winning piece that’ll boost your chances of getting admitted. They will deliver your fully unique, properly structured essay without any mistakes. For those students who have already written their admission essays, we have a professional admission essay writing service. Our team of qualified academic editors can polish literally any essay to perfection within the shortest deadline. Learn more about professional admissions essay editing and writing services! Read this article to find out how it all works and discover benefits of our service. Probably, you had no idea how easy it is to get a winning custom admission essay from a qualified expert. Actually, it takes only a few minutes and minimal effort. For your convenience, we have broken down our ordering process into four simple steps. Follow them to receive an original essay that will boost your chances of getting admitted. Step 1. Firstly, you need to place your order by filling out a simple order form. Specify your subject, type of work, level, style, number of pages/words, and your deadline. Then, type your instructions in a designated field or upload your assignment brief. You can also upload some additional files that describe your task. Choose additional services, e.g., extra quality check, VIP support, SMS updates, and submit your order. There is another option to start your order – just text us ‘write my admissions essay’ via the chat or Messenger. Step 2. You will see the total price at the bottom of your order form. At this stage, you need to pay for admissions essay help. Use PayPal, Visa or MasterCard to make a safe payment. Step 3. You should log in to your account to check the status of your order. If you want to check if the writing is on the right track, just text your writer directly via the chat board. They will gladly answer all of your questions. Step 4. 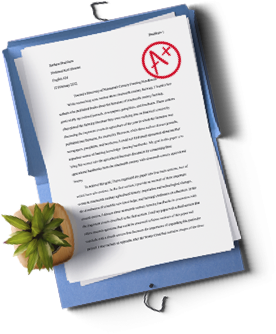 Download your original admission essay! We’ll notify you when it is ready. Why should you choose our admission essay writing service? If you have been looking for admission essay help, you’ve noticed there are dozens of online services that offer custom admission essays. Most of them promise you top-quality content and prompt delivery as well as low prices and bonuses. So how do you know which of those services are really professional and legit? Which one should you trust with your college admission essay? We don’t claim that we are the only trustworthy admissions help provider; but we are sure that our company is one of the best on the market. While all the other services may offer decent papers completed on time, we go far beyond our customer’s expectations. We try hard to provide them with the best service and deliver the highest quality. If you are still hesitating to ask us for help, check out the list of features that make us the top-rated best college admission essays! Personalized approach. We will carefully study all of your instructions and requirements and assign your order to the best-fitting expert writer. They may check your paper details with you, and then they’ll start working on your admission essay. You will be able to track the writing process and discuss your essay with the assigned writer. You are guaranteed to receive a 100% authentic paper that meets all of your requirements. Speedy writing. Of course, most people start thinking about their admission essays very far in advance. But if for some reason you are in a time crunch and need your essay urgently, you can rely on our writers. They have written so many custom essays that it’s possible for them to craft one in 3 hours! Set your deadline in the order form, and we guarantee to deliver your paper strictly on time. Carefully selected writers. Each month, over 40 people apply for a position of academic writer in our company. However, only 5% make it through our complicated vetting process and join our team. Not only do our writers have outstanding writing skills but they are also experts in a particular subjects. All of them hold advanced degrees and 3+ years of relevant experience. Direct communication with writers. If you want to amend your instructions or just want to discuss your project, just text your writer at any time. We have created a secure and convenient chat board which you can use to message your writer directly. Round-the-clock support. Although you can discuss all issues with your writer, our friendly support is always there for you. Reach out to them via the chat, phone, SMS or Messenger if you have any questions. They will reply you within seconds. Free revisions for at least 14 days. At our admission essay writing service, each customer gets from 14 up to 30 days of free revisions based on original instructions. If you dislike anything about your paper, you can contact our support team and request an amendment. Your writer will fix everything as soon as possible. Full satisfaction guarantee. Some other admission essay writing services may offer you a similar guarantee. Although it probably sounds the same, it probably means a different thing. Our satisfaction guarantee implies the following: you can request a refund if you are not 100% satisfied with the result. All writing styles covered. Different universities may require different writing styles. If you are not familiar with the required style, there are no reasons to worry. Your writer will deliver you a properly formatted piece. Are you a bit afraid to pay someone for writing your college admission essay? Well, this issue concerns many people who really need writing help. But we want to reassure you that using our college admission essay writing service is absolutely risk-free. We are going to describe our advanced security standards so that you feel 100% safe while getting professional writing help. Our service is confidential. You won’t have to share your personal data with us. You paper guidelines and instructions are enough for us to process your order. We use SSL Data Encryption to protect your data, and we can guarantee it will be safe. We cooperate with trusted payment companies only. You can use PayPal, Visa or Mastercard to pay for your admission essay. We don’t resell custom papers. We create each paper from scratch and never store custom papers. If you are still not sure if you should buy admission essay online, read our customer reviews. In over 10 years, not of them has gotten into trouble for buying custom essays. Free formatting. Our writers are familiar with all formatting styles including MLA, APA, Chicago, Harvard, and OSCOLA. Pick any style in the order form, and you’ll get a clean copy properly formatted according to your school’s requirements. Free title. Pretty often, students struggle to come up with a strong title for their essay. We understand that it is one of the most important parts of an academic paper, and we will create a strong title for your essay for free. Free bibliography page. We will list all the references cited in your text and format them in your chosen style. Free 24/7 support. A professional support specialist will contact you after you submit your order. They will guide you through every step of the writing help process and can assist you with the payment, paper download, and requesting revisions. You can reach out to them at any time and ask them anything about our service or your order. Free plagiarism check. Before delivery, we scan each paper with a plagiarism detection tool. Only 100% essays make it to our customers. You can also request a certified plagiarism report. Apply for college admission essay help now, and discover all the delightful benefits of our company. We guarantee that you’ll get a brilliant admission essay that will impress the admissions committee.